We are a leading Manufacturer of welding machine for construction industry from Mumbai, India. We are offering wide range of Welding Machine for Construction Industry.The offered welding machines are inspected by our quality inspectors for supplying defect free range. Moreover, our welding machines are processed with the usage of quality proven material & cutting edge technology. Our customers can take these welding machines with different customization options at industry leading rates. 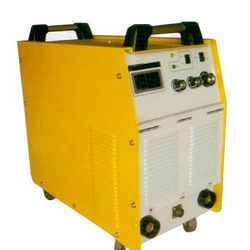 Looking for Welding Machine for Construction Industry ?